It’s summer! But what does that really mean? – Lead. Learn. Grow. It’s summer! But what does that really mean? During the school year, we spend our 180 school days and 1600 plus hours giving of ourselves. In the summer months, we have got to figure out ways to take care of ourselves by depositing “self-care” back in our lives. It becomes more difficult to continue this very important work we have been called to do without setting aside time to replenish. Tackle your mandatory to-do list, but to also add some things that allow you to care for yourself. George Theoharis in his book, The School Leaders Our Children Deserve, discusses how seven principals managed the challenges of the principalship and built a resiliency that allowed them to maintain their work. Here are their personal strategies for keeping their equilibrium. 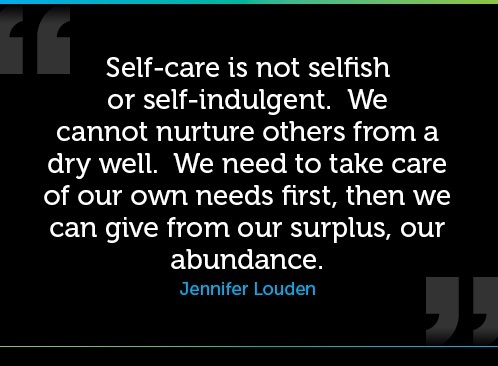 How will you practice some self-care, so that you can be ready to meet the successes and challenges of the 2014 – 2015 school year?